From the fruit on an olive tree to the bottle in our kitchen cupboard, the process of making olive oil is an exciting journey. Let’s take a look at this fascinating transformation from tree to table, taking in tradition and innovation along the way. Mediterranean nations have been making olive oil for thousands of years, passing down knowledge of the craft from generation to generation. Nowadays, traditional production methods like hand-picking and pressing the olives have been modernised in line with the latest technologies and European quality standards. European legislation regulates all the phases of olive oil production process, from olive farming and harvesting to pressing and labelling the final product, to ensure we get a safe and good-quality olive oil. Here’s how it’s done. Once picked from the tree, carefully harvested olives are brought to the oil mill where they are separated from leaves and twigs, washed with clean drinking water, milled and pressed. The whole process must take no more than 24 hours to avoid fruit fermentation and guarantee the best quality olive oil. In the old days, grinding was done with the help of heavy grindstones known as ‘molasses’ to crush the olives into a thick paste, which was further pressed to obtain the oil. Nowadays, the ‘molasses’ have largely been replaced by modern crushers that can mill large amounts of raw materials within seconds. Next, the olive paste goes through a slow stirring process known as ‘malaxation’. This takes around 20-40 minutes and allows small olive droplets to aggregate and fruit enzymes to maximise their natural flavours. In traditional malaxation methods, the general rule is the longer the malaxation time, the more oil produced. But there’s a downside - longer malaxation also means the oil loses more of its healthy antioxidants. Luckily, this is not a problem in modern olive oil factories, which use closed mixing chambers filled with a neutral gas to prevent oxidation while preserving the flavour and quality of the oil. The most valuable extra virgin olive oil is often labelled ‘Cold-pressed’ or ‘cold-extracted.’ It is obtained below 27°C (80°F), a temperature which allows the oil to preserve its healthy polyphenols, antioxidants, and vitamins as well as its unique taste and flavour. Only by complying with this strict requirement can olive oil be labelled ‘cold-pressed’ or ‘cold-extracted’, according to the EU Regulation (EC reg. No 1019/2002) on marketing standards for olive oil. The term ‘pressed’ refers to traditional methods when the olive paste was layered between fibre mats and pressed with a huge press. Modern cold-pressing technology uses centrifuges to effectively separate oil, water and solid remains (called ‘pomace’) according to their density. 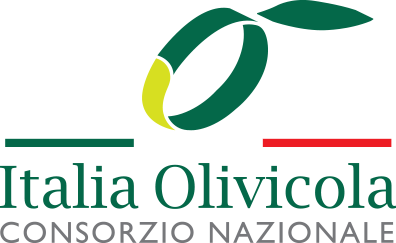 Lower-grade olive oils (such as lampante oils, pomace oils and refined olive oils) are usually produced by applying heat and chemical solvents and must be labelled accordingly. Read more about olive oil types. Freshly pressed olive oil is stored in hygienically-sealed steel containers or nitrogen gas tanks to minimise contact with air and exposure to light during storing and transportation. Throughout the supply chain, an optimal storage temperature of between 12-18 °C must be maintained. It is common practice for many producers to blend different olive oils to create unique tastes and flavours, popular on the mass market. There is nothing wrong with this, especially when the producer provides a traceability code on the label, which empowers a consumer to trace the origins of the product to check its safety and quality. The final step of the process is to bottle the oil in dark glass bottles or stainless steel containers that shield the product from harmful UV light. Once that is done, the oil is labelled and transported to the distribution platforms and final sale points. From there, it is over to you, the consumer, to choose the high-quality olive oil that is right for you. So there you have it - the journey of wholesome and delicious olive oil, from tree to table. Ready to start cooking? Find inspiration and new recipe ideas by checking our ‘Food with olive oil’ section.